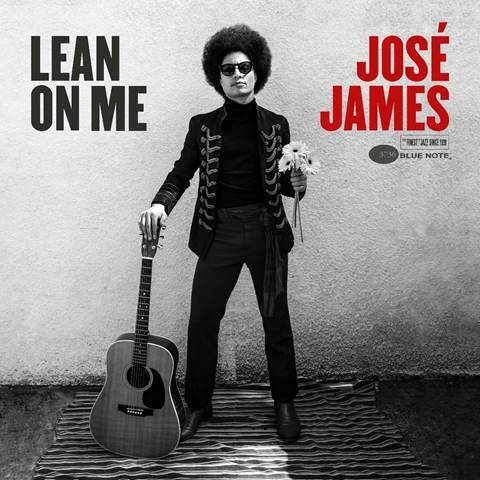 Singer José James to Release Tribute Album “Lean On Me” on Sept. 28th, 2018 | LISTEN TO NEW SINGLE! Singer, songwriter and lifelong fan José James honors the great Bill Withers with the September 28 release of Lean On Me (Blue Note), a loving tribute album that features 12 of the legendary singer and songwriter’s most undeniable and soulful songs in honor of his 80th birthday year. Lean On Me was produced by Blue Note president Don Was and recorded in Capitol’s legendary Studio B with a dream team band: Pino Palladino (bass), Kris Bowers (keys), Brad Allen Williams (guitar), and Nate Smith (drums), along with special guests including vocalist Lalah Hathaway, saxophonist Marcus Strickland, and trumpeter Takuya Kuroda. The lead track “Use Me” is available to stream or download today. The album can be pre-ordered now on vinyl, CD or download. That’s also how all of this began, over the past few years, with James adding more and more Withers hits to his live set until he wound up with a massive medley that felt “like the best kind of church—people crying, dancing, singing and shouting. It was powerful,” he says. At the same time, James was reeling from the deaths of so many of his musical heroes. He couldn’t shake the urge that he ought to celebrate that living icon among us, Withers, whose influence is everywhere and yet whose name is too often left out of the canon. Along the way James’ silken voice has only gotten richer, warmer, and more resonant—a perfect delivery system for Withers’ humane wisdom. Lean on Me was born in late 2017 as a touring project but an album was always the goal. James, who has created masterful tributes to Billie Holiday and John Coltrane, went full ethnomusicologist in choosing the songs, poring over Withers’ nine LPs, the 2009 Still Bill documentary, and some untold number of YouTube clips for clues. When he had his short list, he still doubted himself: “I reached out to Don to ask, ‘Do you think these songs would be cool?’ Don’s like, ‘I dunno. Let’s ask Bill.’ I felt like: ‘Oh my God, what have I done?’” But Withers gave his blessing over dinner at Hollywood’s storied Musso & Frank’s. For James it was a bucket list moment.